Crowne Plaza Felbridge – Gatwick is conveniently located on the A22, just a few miles from the M25 and just a 15-minute drive to London Gatwick Airport. The selection of stylish rooms at Crowne Plaze Felbridge means they can accommodate from as little as two guests for a private meeting, through to 500 delegates for a large team building event. The hotel has recently undergone a huge £4 million refurbishment, meaning all of the meetings rooms and public areas as fresh and new. 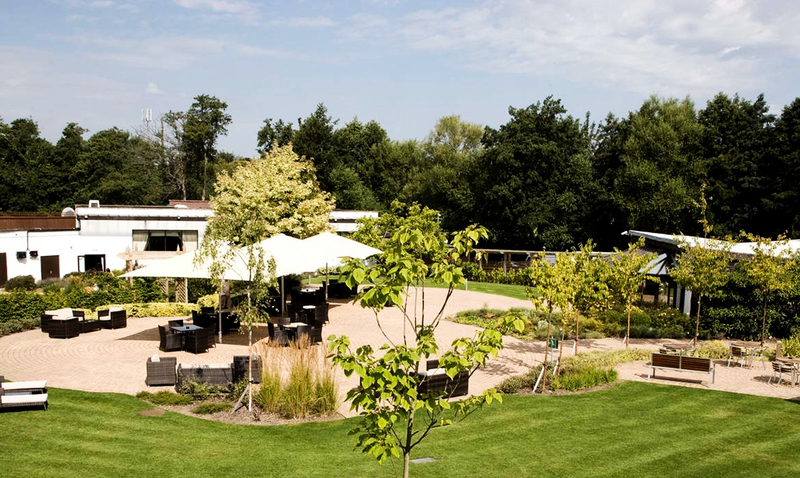 Crowne Plaza Felbridge – Gatwick also has fantastic outdoor grounds which are perfect for activities such as The Crystal Challenge and Multi-Activity Days. In addition to this large space, the venue also has lovely courtyard area perfect for BBQ’s and drinks in the summer time. Their function rooms, such as the Grand Ball Room and the Birch Suite are all finished to a high standard with full audio visual facilities, perfect for team building events, corporate events and meetings. Ideal for: Mixology, The Ultimate Team Build, Get in the Zone, Real Life Clu’Doo, Escape the Box, It’s A Knockout, The Killing, Around the World, Awakening the Dead, Stocks in the City, The Haka Experience, Murder Mysteries, Ipad Movie Making and much more!